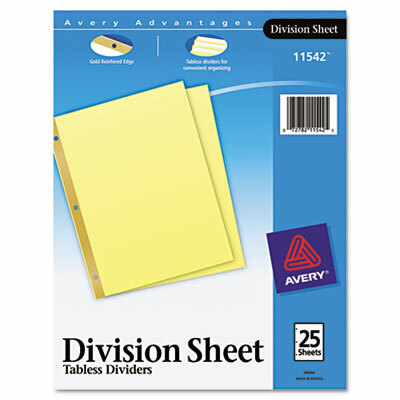 Ideal for separating sections within a tabbed index division. Heavy buff stock is reinforced at binding edge for good wear. Ideal for separating sections within a tabbed index division. Heavy buff stock is reinforced at binding edge for good wear. Three-hole punched for use in standard ring binders.